Downtown Culver is kind of adorable. It’s this cute little strip of the city where they wrap the trees in string lights, giving it a cozy, romantic atmosphere. Bars and restaurants have outdoor seating for you to enjoy the Los Angeles weather. When I say I’m going to Culver, this is normally the part I’m talking about. 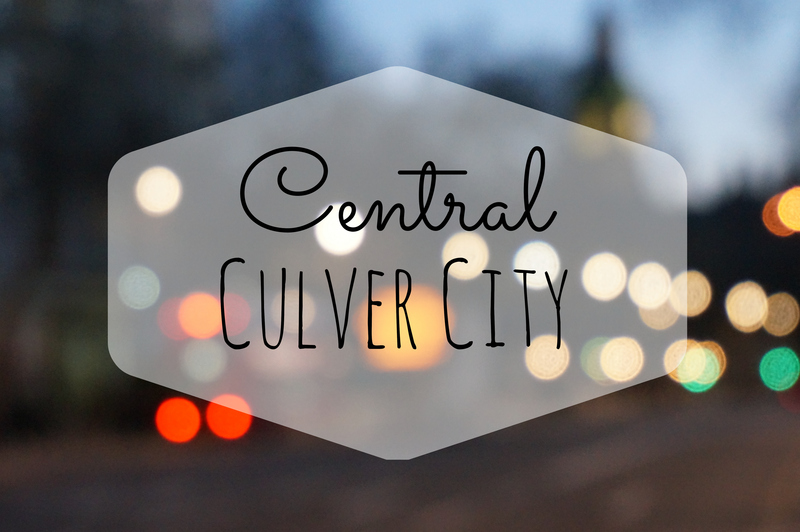 Culver City itself is a diverse mix of families and lumberjack looking hipsters/film production kids. It’s a large section of Los Angeles wedged in a corner by the 405 and 10. Admittedly, Culver is a place I go mostly to eat, but it has much more to offer. The Kirk Douglas Theater, run by Center Theater Group, marks one end of downtown. It is an intimate venue with some of the best theater in the city. On the other end of downtown, the Culver Hotel sits, being all fancy. I suggest stopping by the Velvet Lounge for a cocktail and live jazz if you’re down for it. They have different bands playing all week. This is French food, obviously. I had no idea I liked mussels before I came here. They’re known for them. It can run a bit pricy, so check out their Tuesday special – it’s $30 to try every type of mussel dish they make. This is my special occasion place. French Vietnamese deliciousness is what this is. They tend to mix up the menu, so expect some changes if you go there with any consistency. They had a daikon rice cake that was to die for, but then they stopped making it. I figure if I keep talking about the daikon rice cake, they’ll put it back on the menu (I was specifically told they were trying to redo the recipe and add it back). I bet that doesn’t help you though, so try the Belly & Egg, the Pho Baguette, or the Soft Shell Crab Banh Mi. I thought it was weird that I liked their kale salad, but I liked it, and I’d give it another go. This is easily my favorite pizza in Los Angeles – flat, thin crust NY style. I get a slice of the white pizza and the pepperoni. There’s a 2 slice, one drink combo. It’s a small set up, so sometimes I sit outside on a bench with a friend and eat a slice there. The food here is healthy and actually tastes good too. I was surprised. I think I still am surprised. This is bit off the beaten path. It’s not in downtown Culver, but it’s still in Culver. So if you want a side tour, try out this Hawaiian food. It’s worth it. If you’re in the mood for a little dessert, this ice cream shop is a hop away in Palms (the neighborhood right next to and directly associated with Culver). They do ice cream flavors with a twist. Weekly suggestions determine the flavors they make, meaning the flavors are always changing. I’ve had stuff like Thai Iced Tea, Lavender Vanilla, Maple Bourbon, Oreo Coconut, etc…The staple that doesn’t change is the Brown, Brown Bread flavor. It’s delicious and simple. There are 2 public lots that are free the first two hours. It usually isn’t a problem, but sometimes if there is an event or whatnot, you can be in parking hell. In that case, there is the Trader Joe’s lot at the end of the street. You have to pay for that one, but it beats beating your head on the steering wheel in frustration. Just a regular old shopping mall. Living in the city of LA, sometimes I long for the feel of the suburbs and the convenience of buying everything I need in one place. The mall has a Target inside, so I could basically live there if I wanted. And it has free parking. What? Yeah. A slice of heaven. Definitely! Culver is great 🙂 Thanks for checking out the post.